OVER 35 YEARS OF PERFECTING OUR CONCRETE GARAGES. AND IT SHOWS. As a Yorkshire family-owned company, we pride ourselves in delivering value for money, and that doesn’t necessarily mean cheap. Our engineering background ensures our buildings are robust, and built to last. Lidget Compton is rightly well known for its level of service. Our product range has been designed to be the most flexible available, simplifying the process to enable you to choose a building that suits your needs. Our pricing methods have been designed to be easier to use and more understandable. We will then deliver, install and guarantee your building, seamless service from market leading Lidget Compton. 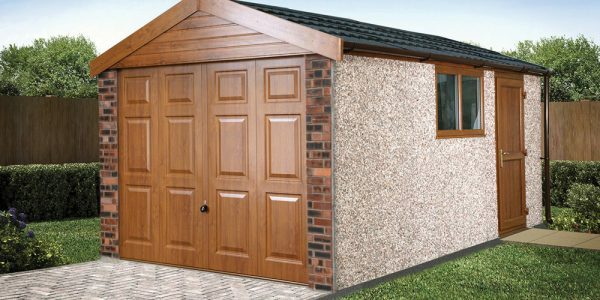 WHY CHOOSE A LIDGET COMPTON GARAGE? A quality building can only be made using high quality materials, the latest in manufacturing processes, and well trained skilled employees. Our buildings are engineered for quality and designed to last. At Lidget Compton we offer an unrivalled product range in terms of choice, flexibility and of course quality. But in the event you cannot find what you are looking for we can probably still build it using our bespoke Design&Build service. Talk to our team for more. A rolling programme of investment and innovation has kept us ahead of the pack in the sectional building market. Investment in the latest technologies and equipment has given us a modern, efficient manufacturing facility with a focus on consistency and quality. Put this alongside the best quality materials and the result really is the best concrete garage. Lidget Compton has built an enviable reputation for service. From a flexible product range and easy to understand pricing to a fully trained customer care team and the most competitive leads times, its easy to see why Lidget Compton are the UK market leader. Our nationwide network of Lidget Compton garage experts can offer a wide range of services from showing you current models and advising on the best building to suit your needs, to arranging for a new concrete base to be laid and the removal of any old garage or shed. 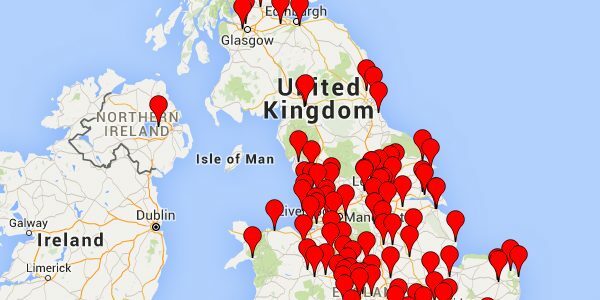 With building specialists across the country you can be sure there is a Lidget Compton show site somewhere near you. At Lidget Compton we have a large fleet of heavy goods vehicles to ensure that we can deliver your new building in a timely manner. Using truck mounted fork lifts we can deliver your building safely and securely ready for installation. In most cases your building will be installed at the time of delivery. Our installation teams take ownership and responsibility for the complete process, from the moment they load their own truck through deliver and installation to the moment they hand you the keys. Located throughout our website and most of our literature you will find Lidget Compton garage tips, useful bits of information and suggestions that might help to make your decision and buying process even easier.